Die hard fans all have their dream places to visit, Elvis fans have Graceland, V8 Supercars fans have Mt Panorama, Ferrari fans have Maranello in Italy, and for Ford Mustang fans there is Shelby American in Las Vegas. Shelby is famous for creating some of the great production Mustangs over the years. So on a recent visit to Las Vegas, I thought I would drop in for a visit to their facility in just off the strip. When we pulled up outside the warehouse facility, which is only a short 15min drive from the main strip in Vegas, I knew we were in the right place as there was a brand new GT350 parked out front. We then headed inside to meet our host and tour guide Chris Ruby, Ruby is one of Shelby’s sales team members and an old friend. 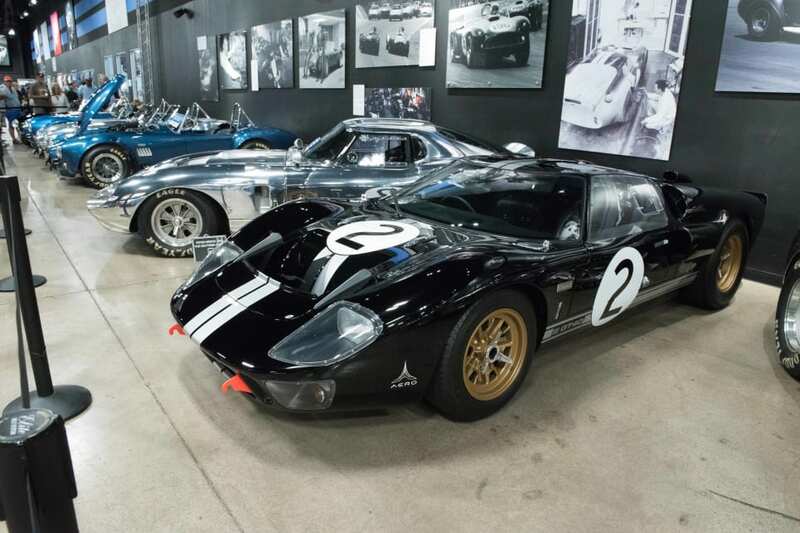 Inside the facility you are greeted by the huge store with something for any Shelby enthusiast, with everything from hats, t-shirts, model cars and even Shelby water and energy drinks. Further into the building is the impressive museum with a varied collection of cars. 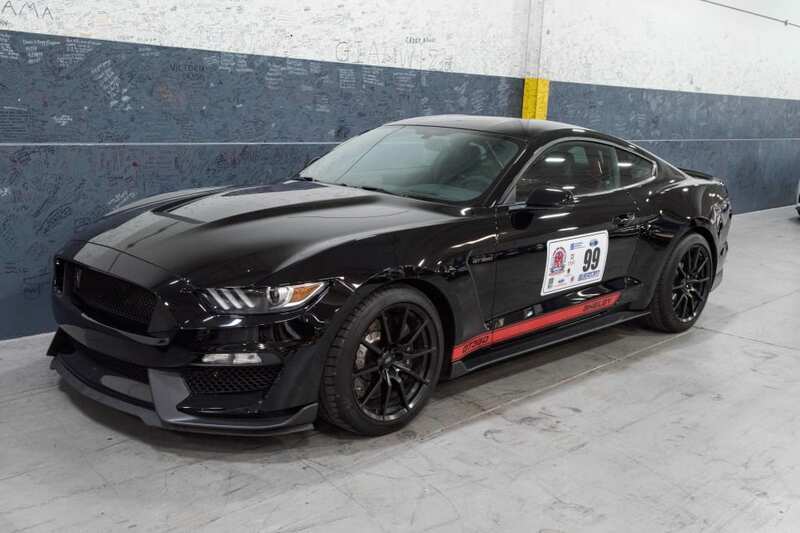 Some of the stand outs include a 50th Anniversary polished finish Daytona Coupe, the 2007 Shelby GT Prototype and first car to receive wide body treatment, a GT350 R&D car for the 2010 era program and the famous 1000HP Shelby 1000. One other car of note whilst not a Shelby vehicle is a Ford GT, known as workhorse 1 which was the first prototype for the 2000 era Ford GT. It is a fascinating piece of automotive history as it looks like a standard GT from the outside but on the inside it is very much a development mule and was used to develop the suspension for the Ford GT. From there we headed onto the factory floor, where we took a full tour around the facility checking out the various Mustangs and F150 in various stages of transformations as they turn into Shelbys. Seeing where the cars come into the workshop, are stripped down and then fitted with their new Shelby replacement parts. 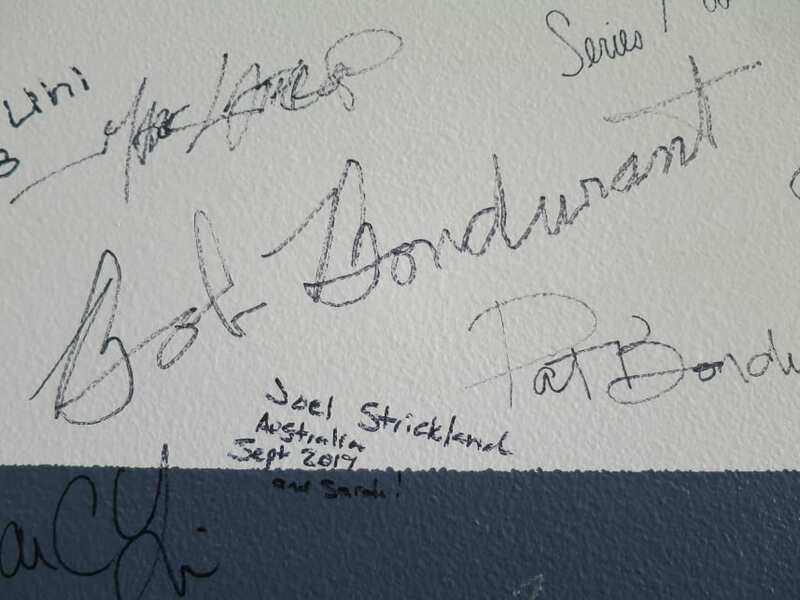 Once the tour is finished there is only one thing left to do and that is to sign the wall as evidence of our visit. We even got to sign under the legendary Bob Bondurant. Thanks to Chris and the team for hosting us and giving a great insight into their set up.